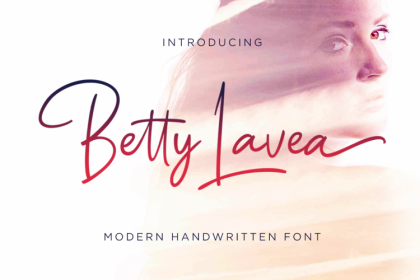 This font is based on a lettering style used as a logotype for the Larkin Company circa 1900. The Larkin Company began as a soap company in the late 1800s and eventually grew into a gigantic mail-order and chain store which manufactured and sold a wide variety of products. 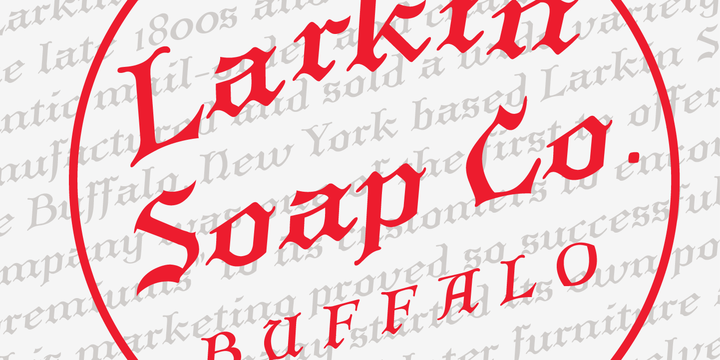 The Buffalo, New York based Larkin Soap Company was one of the first to offer promotional “premiums” to its customers to encourage sales. This marketing proved so successful that The Larkin Company started its own pottery to produce China and later furniture and other items which became products themselves. One of the Larkin Company’s star salesmen and exectutives retired early in 1893 to start his own venture. Elbert Hubbard combined his tremendous salesmanship with his love of the Arts and Crafts movement to found the famous Roycroft movement based in East Aurora New York. The other executives in the Larkin Company enlisted Frank Lloyd Wright to design the Larkin Administration building as well as several residences for various members of the families of the Larkin executives, most notably Darwin D. Martin. The Larkin Administration Building was demolished by short-sighted developers in the 1950s, but most of the Wright designed residences still exist. The remaining Larkin warehouse buildings are currently undergoing major renovations. 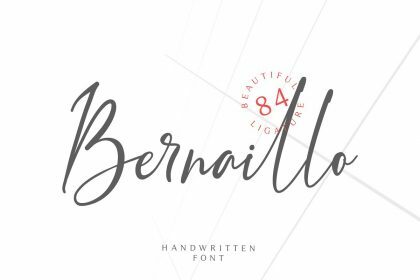 This font was commissioned to serve as signage and titling for materials related to the LCo. Building which houses premium office space as well as a caf., day care and museum in the original Larkin company spirit.